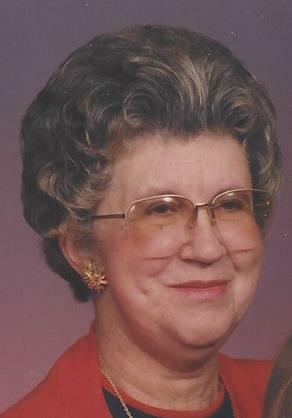 Joan R. Edworthy, 84, passed away April 11, 2019. She was born in Akron on May 25, 1934 to the late John and Anna (Bakos) Makidon and retired from Roadway Express with over 30 years of service. She also worked at Annie Anne’s at Chapel Hill Mall and was a member of the Roadway Dinner Club. In addition to her parents, she was preceded in death by her husband, William; brothers, Ernest and Edward; and sister-in-law, Helen. She is survived by her daughters, Terri (Chuck) Olenik and Laurie (Jim) McCollum; grandchildren, Lauren Blackwell, Nicole (Joshua) Bringman and J.D. (Stephanie) McCollum; great-grandchildren, Cierra, Savanna and Nate; cousin, Delores; and dear friends, Wanda, Helen and Deanne. The family would like to extend sincere thanks to the staff of Grace Hospice for their loving care of Joan and to the staff at Cardinal Village. Calling hours will be held on Monday, April 15, 2019 from 10 a.m. - 12 noon at the Eckard Baldwin Funeral Home & Chapel, 760 E. Market St. The funeral service will be at the funeral home immediately following calling hours at 12 noon with Rev. Joe Burkhardt officiating. Entombment at Rose Hill Burial Park. In lieu of flowers, donations may be made to Grace Hospice, 3515 Massillon Rd. Suite 270, Uniontown, OH 44685. Please share your thoughts and condolences online and view her Video-Gift tribute by visiting her Tribute Wall above.